This statistic presents the global market value of beacons technology in 2016 and 2026. 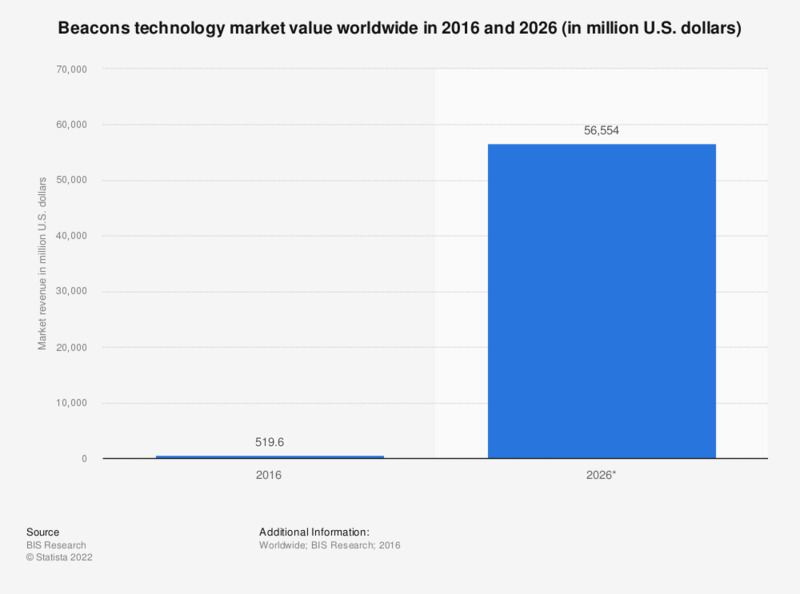 In 2016, the beacons technology market was valued at 519.6 million U.S. dollars. It was estimated to increase at a CAGR of 59.8% to reach about 56.6 billion U.S. dollars in size in 2026.